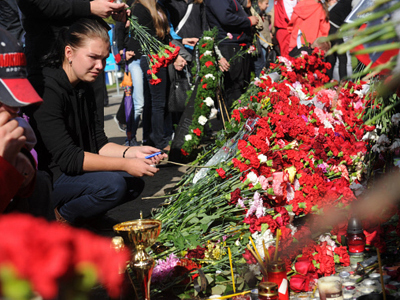 The two survivors of the Yak-42 deadly crash near Yaroslavl, which killed 43 people, were on their feet right after the disaster and even tried to save other people, say policemen who were at the scene mere minutes after the plane fell. 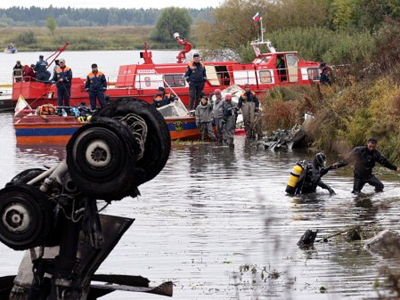 The two people who arrived first at the crash site were two officers of the river police, who had been patrolling the Volga River in a boat. Ten-year veterans Dmitry Konoplyov and Oleg Smirnov were monitoring the river’s area, over which aircraft pass while taking-off or landing. They saw Yak-42 hit a beacon pole and go down behind trees and they immediately sped towards it. 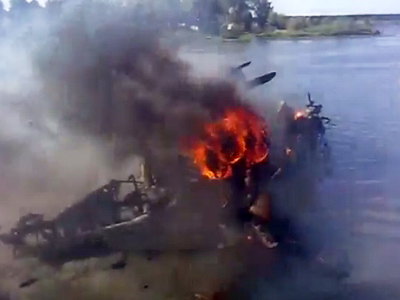 Some 90 seconds later they rounded the river bend and were next to the wreckage of the aircraft. 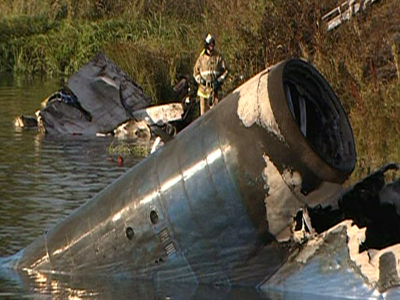 The plane fell right on the bank and was partially submerged. It had already caught fire. They noticed a man chest-deep in the water making for the shore and initially thought he may have been a fisherman who happened to be at the scene, but then realized this was one of the crash survivors. It took the policemen some time to maneuver their boat closer to the bank, because the river was very shallow there. While they were moving in to pick up the burnt man, another person wearing a flight crew uniform emerged. He was trying to drag out somebody also dressed in uniform from the debris, grabbing him by the shoulders. By that time rescuers from the airport arrived and picked up the crew member. The river policemen took care of the first survivor. “We were talking to him the whole time to keep him conscious. He was very brave and in touch with reality. Only when we lifted stretchers to load him into an ambulance did we ask his name. 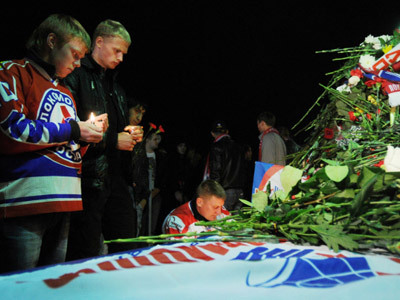 He said: ‘Brothers, I’m Galimov’,” Konoplev recalled. 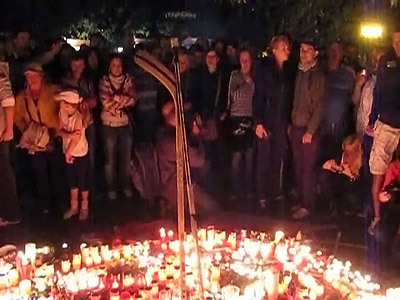 Aleksandr Galimov, a player for the Yaroslavl Lokomotiv ice hockey team, is the only member of the team’s main squad who survived the crash. He has massive burns, but on Friday doctors said his condition is stable. Aleksandr Sizov was flight engineer of the doomed flight and the only person of the eight-member crew who was not killed in the crash. His is in hospital too with numerous injuries and his condition remains serious.